Welcome to VMware Digital Workspace Tech Zone, your fastest path to understanding, evaluating and deploying VMware End User Computing (EUC) products. This page walks you through the types of content we offer and our site layout. Tech Zone fits neatly into the larger picture of resources at VMware. By focusing on practical product guidance, Tech Zone is able to complement traditional VMware EUC resources. At Tech Zone, we've made it our mission to provide you with the resources you need, wherever you are in your digital workspace journey. For this reason, some content on Tech Zone is extremely technical and intended for digital workspace gurus. Other content is more general and intended for all to enjoy. As part of our content strategy, Tech Zone resources are divvied up to answer half a dozen basic questions that scale from beginner to expert. 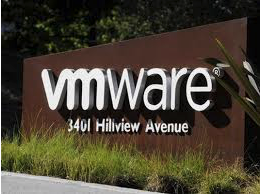 No matter what level of technical expertise you have with VMware EUC products, the resources associated with these questions will point you in the right direction. The content on Tech Zone comes in four basic formats: videos, guides, blogs, and toolsets. Use the following diagram to explore which Tech Zone resources answer your fundamental questions, and to understand which format that resource takes. Activity Paths: Expand the Start menu to access the activity paths for VMware Workspace ONE, VMware Horizon 7, VMware Unified Access Gateway, and more. Activity Paths provide a variety of resources that guide you from beginner to expert. Workspace ONE: Find out everything you ever wanted to know about Workspace ONE, the digital workspace platform that delivers and manages any app on any device. Horizon: Find out all about all things VMware Horizon 7 and VMware Horizon Cloud. Tools: Facilitate your efforts with deployment tools, installers, migration and registration tools, backup utilities, and much more. Blog: Get the latest announcements, read opinion pieces, and find out what’s new in the EUC product releases. Also check out the opinionated, always fun, brain rumblings of Mr. Brian Madden. Log in: Sign in to Tech Zone using your VMware Cloud Service Portal ID (also known as myVMware ID, or Partner ID). While you do not have to log in to access our content, signing in has its benefits. Today, it enables blog commenting, and grants access to our RSS feeds. Tomorrow, you’ll get even more. Search: Use the VMware Tech Zone search engine to zero in on what you want to know. To begin, enter keywords into the search bar. Then filter results by specific components, levels of understanding, and type of resource. Here at Tech Zone, we're constantly rolling out changes and site improvements. For this reason, our site can change from one day to the next! Please know that we don't believe in change for the sake of change. Instead, your needs drive our evolution. All iterations of this site are intended to help make the most relevant, need-to-know information as accessible as possible. Thank you for your patience as we grow.